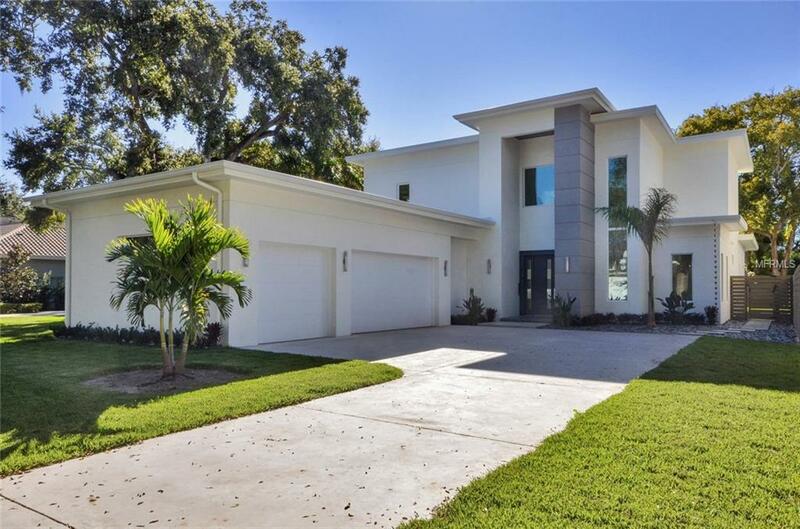 Architectural Modern Masterpiece is home to purity of design & is a one of a kind w/Resort Style Living! A Commanding presence on quiet oak canopied street in South Tampa, just 2 houses off Bayshore Blvd. 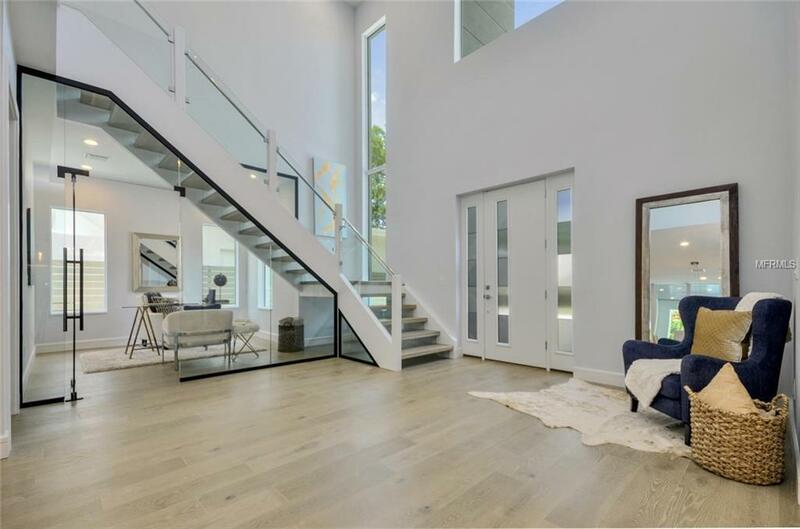 Storefront glass windows highlight the floating glass staircase allowing natural light to pour throughout the soaring 20' grand foyer. Situated behind the floating glass staircase is a fully enclosed glass wall leading to the Office. 2nd floor Overlook w/Glass Railing captures the true essence of the clean lines that are a running theme throughout. Blending Indoor to Outdoor living w/ease through pocket sliders out to the Covered Lanai, Detached Cabana, Pool, Outdoor Shower, Outdoor Kitchen, Pool Bathroom & Large Lawn stretching 190' deep. Custom kitchen off Great Room w/Gas Fireplace. Dining Room separated by Walk-in Climate Controlled Wine Room & Dry Bar. 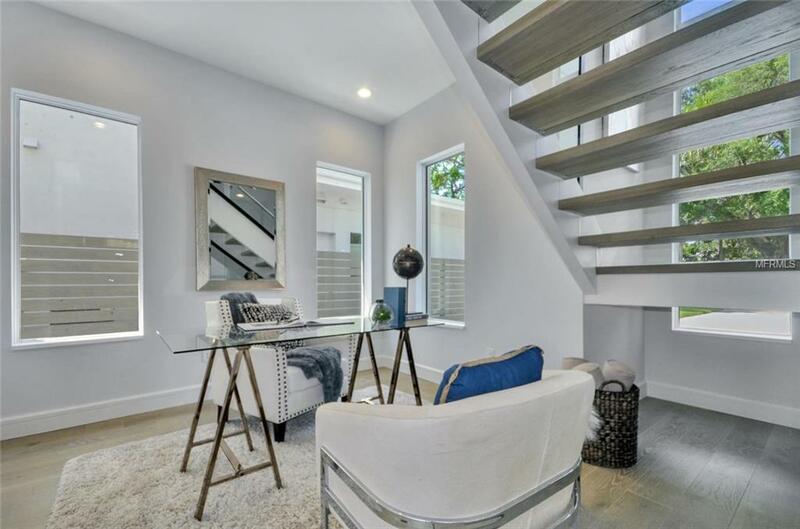 The Downstairs Master Retreat has views of the Rear Yard & is equipped w/custom built-in Wardrobe w/a Serene Marble Clad Master Bathroom w/jetted tub & spa shower. 3 additional oversized Bedrooms, 2 full baths & Media Room on the upper floor. 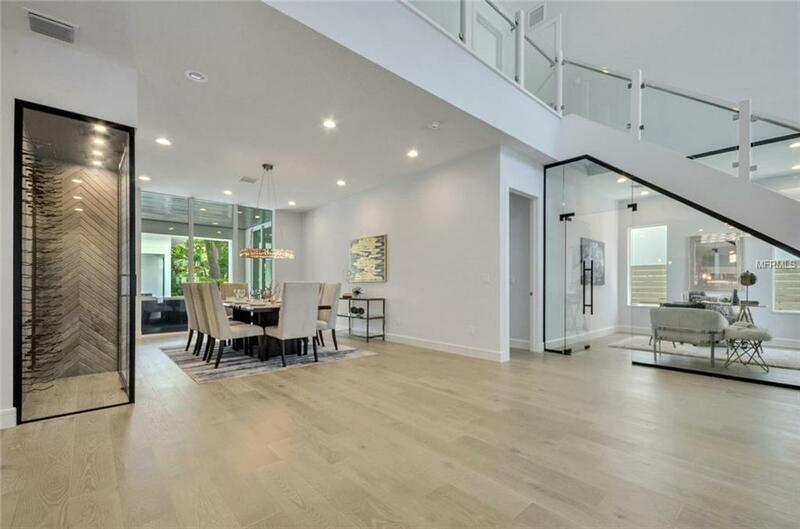 High gloss cabinetry, Sub-zero Wolf Gas Appliance package, all Kohler plumbing package, durable Quartz Counter tops throughout, Wide plank Oak Hardwood floors throughout (minus wet areas) & Designer Light fixtures finish off this Jewel of Bayshore Beautiful. Concrete Block construction, Spray Foam Insulation, Insulation in between floor systems & interior walls, Impact rated Windows & Level 5 drywall finish. Listing provided courtesy of Courter Realty, Inc..